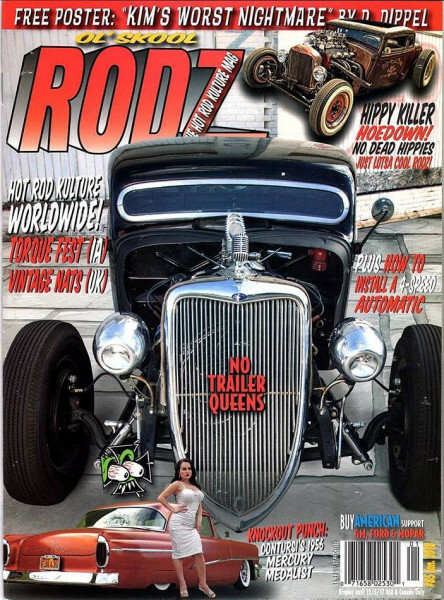 Produktinformationen "OL' SKOOL RODZ Issue 85"
Ol' Skool Rodz #85 How about Vintage Torque Fest plus Hippy Killer Hoedown in one issue? Also Rockabilly Extravaganza and UK's Vintage Nats! Plus tech on installing a 700R4 in place of a Turbo 350, and some of the coolest rods and customs anywhere, from a '56 Merc to a '65 C-10 to a Model A and more, way more. Did D. Dippel's centerspread "Kim's Worst Nightmare! Weiterführende Links zu "OL' SKOOL RODZ Issue 85"
Kundenbewertungen für "OL' SKOOL RODZ Issue 85"